Anderson & Associates Financial, LLC. We believe that life is not defined by the things one has such as money or investments. Life is defined by what you do every day and what makes you happy and fulfilled. Financial planning is really about people's lives, not just their money or net worth. We want to take each client from Beyond Ordinary to Beyond Possibilities. We serve as a catalyst to help you begin your journey, collaborating with you, providing innovation, guiding you through the maze, and elevating you to Beyond Ordinary. Our team is comprised of independent thinkers with a focus on the family perspective. Our mission is to serve each client as if they are in the family. We identify and exceed your needs, providing continual improvement with consistency and foresight. How can we leave a lasting legacy? How will we reach our financial goals? 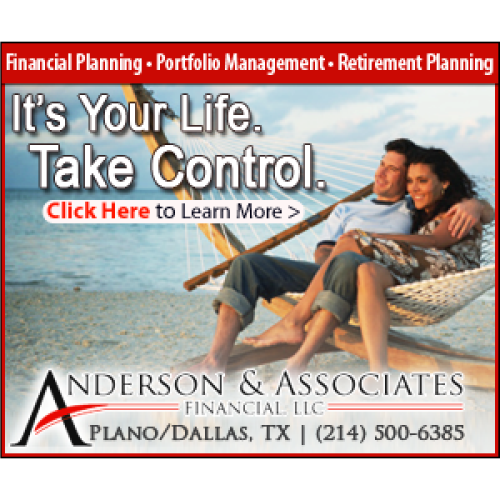 Can I afford a financial planner?